Soul Serenade: Bobby Womack, "If You Think You're Lonely Now"
Another irreplaceable artist was lost this week when Bobby Womack passed away at the age of 70. Womack had an amazing career that spanned seven decades, from his early work with Sam Cooke in the ’50s until his most recent album, The Bravest Man in the Universe, which was released two years ago. I’ve written about Womack twice before in this column. You can read those stories here and here, but I can’t let the passing of an artist of his stature go unnoticed, so I thought I’d focus on one of Womack’s greatest records to pay tribute to him this week. The Poet was an album that Womack released in November, 1981 on the Beverly Glen label. The album made it to #1 on the Billboard Top Black Albums chart largely on the strength of the enormously popular single, “If You Think You’re Lonely Now.” The single spent several weeks on the Hot Soul Singles chart, reaching as high as #3. What was most significant about “If You Think You’re Lonely Now” was that it was an old school soul record that was released at a time when dance music was dominating the charts, and R&B music was being eclipsed. “If You Think You’re Lonely Now” was written by Womack, along with Patrick Moten, and Sandra Sully. The backing musicians on the track included Nathan East on bass, James Gadson on drums, and guitarist David T. Walker. It was the second of three singles to be released from The Poet, following “Secrets,” which reached #55 on the R&B chart, and preceding “Where Do We Go From Here,” which made it to #26. The Poet is considered by some to be the high point of Womack’s illustrious career. Womack had more hits in the ’80s including “I Wish He Didn’t Trust Me So Much,” his duet with Patti LaBelle “Love Has Finally Come at Last,” and the Wilton Felder single “(No Matter How High I Get) I’ll Still Be Looking Up to You,” which featured Womack on the lead vocal. A descent into heroin addiction slowed Womack down at the end of the decade, but by the mid-’90s he was sober, and returned with the aptly titled album Resurrection. Bobby Womack’s later years were not easy. He had developed diabetes late in life, and in early 2012 he had to fight off a case of pneumonia. Shortly after that he was diagnosed with colon cancer, and had surgery. In May, 2012 word came that the surgery had been successful and that Womack was cancer free. Less than a month later The Bravest Man in the Universe, which was produced by Damon Albarn and Richard Russell, was released by XL Recordings. The album was near the top of many year-end lists, including mine. Unfortunately, more bad news came in January, 2013 when Womack admitted that he could no longer remember his songs, or people’s names. Doctors told him at the time that he was in the early stages of Alzheimer’s Disease. Last week XL announced that Womack had passed away. No cause of death was given, but clearly he suffered from a variety of ailments at the time of his death. Fortunately, we haven’t heard the last of Bobby Womack. The Best Is Yet To Come is an album that Womack was already working on when he began work with Albarn and Russell on The Bravest Man in the Universe. It features guest artists like Stevie Wonder, Eric Clapton, Levert, Snoop Dogg, Teena Marie, Ronnie Isley, B.B. King, and Ron Wood. Among the songs are a recreation of Womack’s classic “I Wish He Didn’t Trust Me So Much,” and covers of Seals & Crofts “Diamond Girl,” and a fairly obscure Ray Charles song called “The Sun Died.” No release date has been announced. It’s hard to imagine a more wide-ranging career than the one that Bobby Womack had. He started recording with his brothers in the ’50s, and he was still at it two years ago. What that means to us is that he left a lot of great music behind when he went, and for that we are grateful. 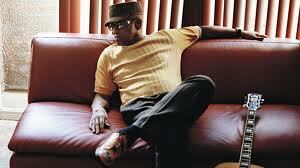 Take time to listen to some Bobby Womack music today. If you’ve followed his career for a long time, you will be reminded of his greatness all over again. If you’re new to his music, the breadth of his talent will open a whole new world to you.